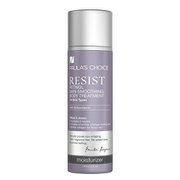 This powerful treatment was designed to correct early environmental skin damage. Skin Firming Cream contains ingredients that target environmental aggressors, repairing photodamage while firming the skin. This first line of defense supports collagen synthesis and accelerates the skin’s ability to repair damage resulting from UV light, pollutants, and harmful chemicals. Once or twice daily apply to the face, neck and chest. Use after a SkinCeuticals antioxidant. Follow with a SkinCeuticals sunblock in the morning. Water, Hordeum Distochan (Barley) Extract, Santalum Album (Sandlewood) Wood Extract, Phellodendron Amurense Bark Extract, C12-15 Alkyl Benzoatem Ethoxydiglycol, Caprylic/Capric Triglyceride, Ectoin, Cetyl Alcohol, Tocopheryl Acetate, Dipalmitoyl Hydroxproline, Centella Asiatica Extract, Hordeum Vulgare (Barley) Extract, Solanium Lycopersicum (Tomato) Extract, Polyacrylamide, C13-14 Isoparaffin, Ammonium, Acryloyldimethyltaurate/VP Copolymer, Phenoxyethanol, Methylparaben, Propylparaben, Ethylparaben, Butylparaben, Disodium EDTA, Laureth-7, Triethanolamine, Juniperus Communis Fruit Oil. This lotion really works at tightening skin. It is not really heavy, but I find that diluting it makes it absorb faster and spreads easier. It is the best skin firming lotion that I have found. I am 29 acne prone and also fair skinned so trying to combat the signs of aging early...CE Ferulic, Skin Firming Cream and Ultimate 30 from SkinCeuticals are my saving grace! Could be the worst product I have ever tried. If you have combination or oily skin stay away or your complexion will pay. You will spend the next two weeks trying to get rid of all the acne it has caused. Trust me and I like SkinCeuticals products. not really worth the cost of it, i used it for about 8-9 months with no difference than any other firming creme..feels great on skin but no results worth commenting..tooo expensive! oily skin & I love it! It says this is the richer cream alternative to serum 15, i didn't know that and purchased it anyways. I have oily, fair break out prone skin at 37 y.o. and i love this cream, it sinks in right away and feels wonderful on my skin. I use it with the simply clean face wash as my Dermatologist prescribed. I've tried just about everything on the market, and was so glad when I found this product. I've used Skinceuticals for 3 plus years now, Serum 15 & 20, now CE + Ferulic as well. I have never been disappointed, all of their products are superior, I also use B5, Intense Line Defense, and Simply Clean. I'm told I look 5-10 years younger by just about anyone I meet that learns of my true age. This product is really worth the price!!! You won't be sorry!! Alwqays a pleasure to use these products, they are just the best formulated and take great care of my delicate skin, thanks SkinStore!! !